Protecting and enhancing the values of sustainable working forests. 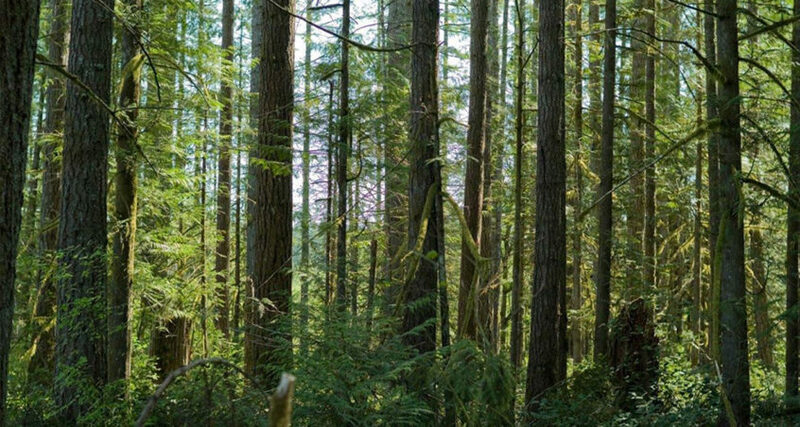 Great news out of Northeast Washington, where not coincidentally Vaagen Brothers Lumber has been very active in working with federal, state and local leaders to improve forest health through active forest management. After decades of declining timber harvests and forest restoration projects, the Colville National Forest has turned a corner and is dramatically increasing both. According to recent forest management estimates, the forest is poised to be the No. 1 forest products producer in the Pacific Northwest, an area containing 17 National Forests in Oregon and Washington. The forest is expected to yield 120 million board feet of forest products in 2018, compared to 70 million board feet in 2017, said Colville forest supervisor Rodney Smoldon. Compare that to the two years before 2017, when the forest’s output didn’t reach 50 million board feet; or since the late 1990’s, when it struggled to offer 40 million board feet per year. …Smoldon said he credits the advances to a mixture of local collaboration and use of innovative management tools Congress has provided, including those in the 2014 Farm Bill. Those resources were motivated, in part, by hopes of expanding forest restoration work necessary to reduce the risk of wildfire in northeast Washington. “We try everything that comes our way,” said Smolden, pointing to several programs that have allowed his small staff to do more. About 75 percent of their sales estimates will be timber for sawmills. This increase is significant; if the logs from the increase in 2018 were made into framing lumber it would provide for more than 4,000 average-sized homes. Also included in the sales are tons of chips for producing paper, electric power and other products. This adds significant fuel to the regional economy. Vaagen Brothers’ “A to Z” forest restoration project, which came about because of an innovative collaborative between Vaagen, government agencies and environmental groups, was a large source of Colville National Forest’s increased productivity. As we wrote last week, one stage of the A to Z project was able to proceed after winning in court. The forest-treatment spotlight is currently on one first-of-its-kind project. The A to Z Mill Creek stewardship project near Colville is no longer an experiment, but is actually driving treatment and production numbers, Smoldon said. It started with treatment of 17,875 acres a few years ago. In July, Smoldon made the decision to proceed with a second phase totaling 26,500 acres. The total project area footprint is for a planned 54,000 acres, with work spanning 10 years. Smoldon said it wasn’t the amount of work done by the contractor, Vaagen Brothers Lumber of Colville, that is most significant, but the fact the work was done in addition to what the forest could do with its budget. The A to Z stewardship project accounted for over 8 million board feet in 2017 and will add much more in 2018 with work starting on the second phase. More projects like it are planned for the Forest. The forest was in the top three forest product producers last year, but managers are equally proud of being number one in the lower 48 states for culvert replacement for improved fish passage and water quality improvements, said (Colville forest spokesman Franklin Pemberton).